Only one visit to the patch this weekend - Saturday was spent watching the Toon get three points, too little, too late I fear. So today wasn't an early start. 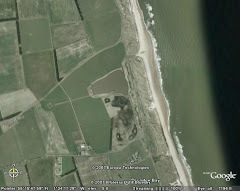 I checked the dunes from the haul road first - there is a nice little flash pool holding water again on the northern boundary of the patch, just along the haul road towards to East Chevington. If it doesn't dry up this week, it will be worth checking for waders. There were only two gadwall on it today. 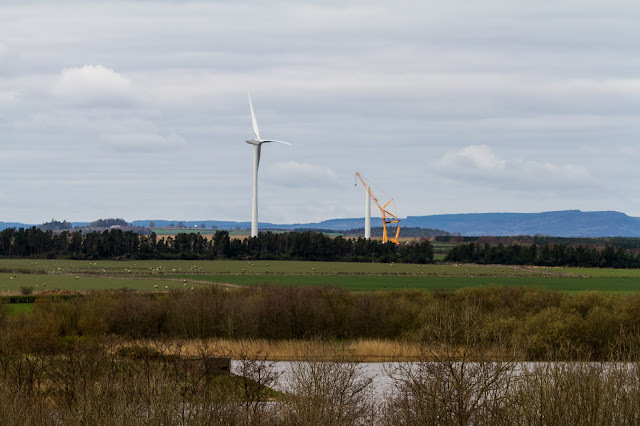 The new wind turbines have been delivered this week for the wind farm next to the inland sea at Widdrington. 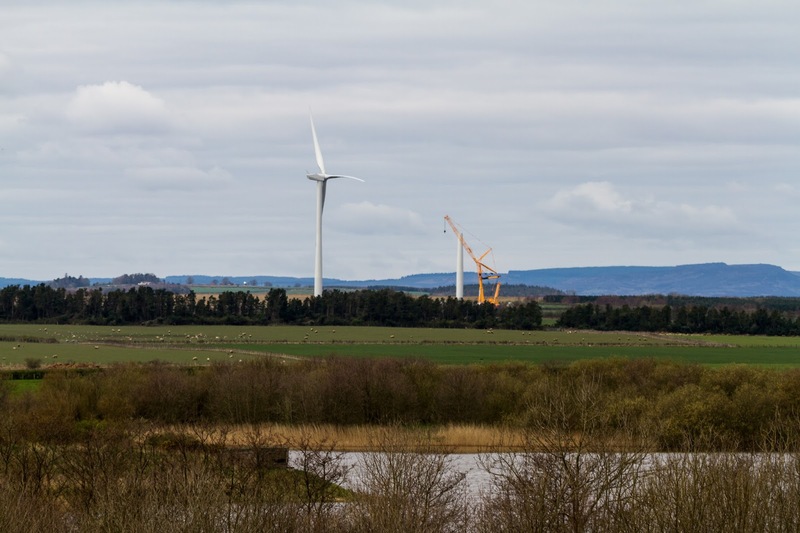 Now I am not anti-wind farm, as long as they are in the right place. This place would have been okay had the opencast mine not left behind a massive pond that would obviously, and has, attracted birds. Not much thought or planning gone into either scheme which results in nature losing out again. It will certainly change the landscape of the patch - I will try to get down more often and document their construction. Back to birding, with my back to the new wind farm. There was a steady swallow passage with a bird headed north every minute or so along the dunes whilst I was there. There was very little on the sea other than a handful of red-throated divers - some of which were sporting their summer garb. Strings of gannets heading north on the horizon were a welcome year-tick. No terns were in the bay. A willow warbler was singing by the car when I headed to the Budge screen, with another by the screen hide. Jonathon Farooqi had been to the Budge before me and reported an adult little gull. I couldn't find it, but did see the three ruff and four black-tailed godwits that he had also reported. There was a second-summer med gull amongst the black headed gulls.